That is a great line, and one that perfectly exemplifies this short tale from the bloody, gore-strewn pen of Terry M. West. 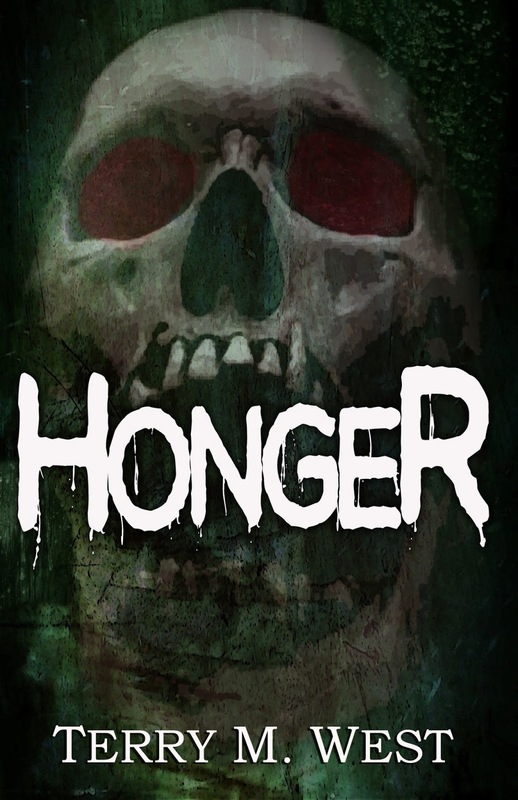 Honger is a sad, violent tale, an otherwise simple story of monstrous cannibalism, but with a solid backstory and well-developed mythology. Although he's been a monster for over 300 years, Willem Tenner never loses his humanity, making him a surprisingly sympathetic character. Sure, he murders a few people every season, devouring everything but their bones, but he takes no pleasure in it. 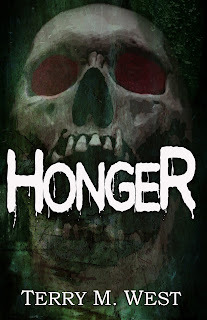 When the Honger comes on, he is simply powerless to resist. In many ways, this quiet loner reminded me of Bill Bixby in The Incredible Hulk, wandering from life to life, minus the post-transformation shame and guilt. When another monster arrives on the scene, a man who knows William's darkest most secrets, it's time to walk away from another life - but not before dealing with a few things first. After a slow build of character and mythology, the final third of the story races along, only becoming darker, bloodier, and even more chilling with each development. As for the climax, West always nails his endings, and this is no exception.